There is a quote that says something to the effect of, “It’s not about the destination, it’s about resisting the urge to drop your kids off at the nearest convent when the destination takes any longer than five minutes to get to and the two of them spend 99% of the time screaming (at each other, or for fun), complaining or asking for something,” that applies perfectly to today’s post. To be fair to the kids they aren’t doing this to drive their parents crazy; they do it because they really want to live with a bunch of nuns. Actually I have no idea why they do this but I’m now 100% certain that my sisters and I must have done the same thing when we were young. How can I be so sure of something like that when I can rarely remember my kids’ names, you ask? It’s because I had a revelation today as I drove the family to the coast of Oregon; a revelation that changed the way I look at and think about the world – or at least about my dad’s driving habits during our vacations that have mystified me for years. The day started out nice enough as I awoke about an hour before we had to leave, dressed and said good morning to the kids 10 times each before realizing, once again, that I was not going to get a salutation in return because they might miss what antics Curious George might get up to next. Seeing that my wife was busy cooking breakfast, making the kids’ lunches, packing everything that we would need for the beach, doing the laundry, washing the dishes and planning out activities for the kids for the next two years, I decided that I too was curious about what antics George was going to get up to and, seeing as how my wife had everything under control, and not wanting to disturb her by asking if I could help, I sat down on the couch and watched the cartoon with my kids. Some time later my wife declared that it was time to go causing the kids and I to groan and protest for, “just five more minutes”. 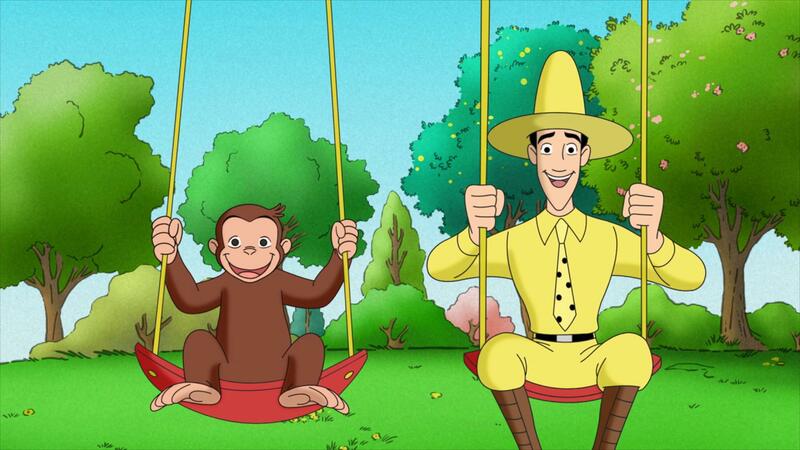 We were denied those precious five minutes and may never know whether that silly little pet monkey ever came to realize that the man in the yellow hat is sort of a creepy dude. With this sting of disappointment still resounding through our souls, my kids and I joined my wife in the car and set out for the beach. He’s a little creepy right? Within moments of beginning our drive it started. Oldest Son: Can I have the iPad? Oldest Son: Can I please have the iPad? Youngest Son: I want something to eat now! Hmph. Oldest Son: I want a snack, too. Youngest Son: Can I have the iPad? Oldest Son: I want the iPad and I need a snack now please. Youngest Son: No. I want the iPad and a snack. Wife: What do you guys want for a snack? Youngest Son: Peanut Butter crackers, now! Wife: That’s not how we ask. Oldest Son: Dad, can you give me the iPad? Wife: Please wait until I get your brother his snack. Oldest Son: That’s not fair! Why does he get a snack? Wife: Do you want a snack? Oldest Son: No! I said I wanted the iPad! Youngest Son: (after getting the crackers) This isn’t what I wanted! I said I wanted cheddar bunnies. Wife: No. You said you wanted peanut butter crackers and that’s what you get. Oldest Son: Mom! I want the iPad. How does my wife still have a full head of hair? Does anyone else think that the man in the yellow hat is a creepy dude? While I was contemplating these questions I noticed something, something that was very out of the ordinary for me: I was driving fast. 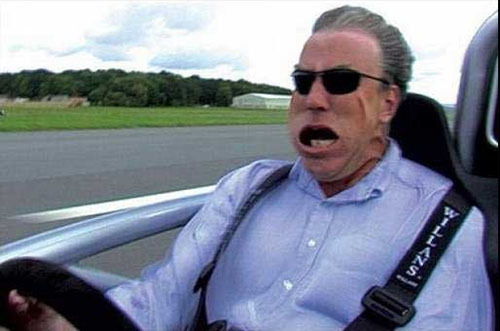 At first I assumed that my unusually fast driving was due to the fact that I really needed some coffee but, even with coffee in hand, I noticed that I was continuing to drive just as fast. I didn’t have time to fully analyze this change because it started again. Youngest Son: We going to ride car ride at beach? Me: No. That was in San Diego. Youngest Son: (in an ever-increasing high-pitched scream) I want to go to car ride! Me: They have bumper cars at the arcade. We could do that if you want. Youngest Son: (full on scream) NOOOOOOOOOOOO! Oldest Son: You’ll like the bumper ca…Owwww! Oldest Son: He hit me! Bad brother! Youngest Son: I want peanut butter crackers! Me: Your mom already gave you some. Youngest Son: Not those ones! Oldest Son: Dad, can you help me beat this level of Plants vs Zombies? Training my sons in the art of travel so that they are better prepared when they too become fathers. At this point I considered issuing the threat of turning the car around but realized that it may not be possible due to the increasingly high rate of speed we were travelling at. 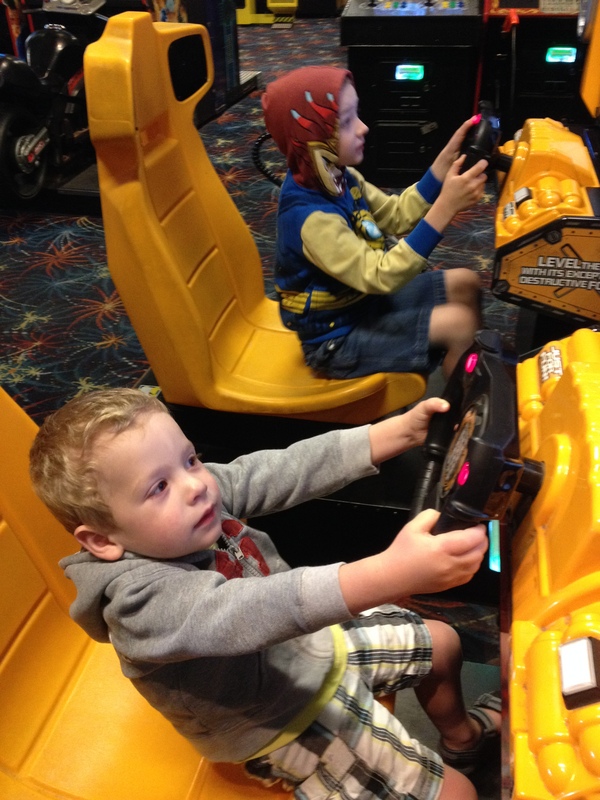 In fact the speed was so high that before my kids could start asking, complaining or screaming at each other again we had reached our destination. For a drive that normally takes an hour and a half, I had just completed it in 24.5 minutes. Confused, but relieved to be out of the car, I pushed the thought out of my mind as we spent the day playing video games, eating, playing at the beach, eating, riding a carousel, eating and then eating some more. In fact, it wasn’t until I completed the drive home in 6.5 minutes that I realized something: my dad was always in a rush to get to our destination because, as a dad, the only way to truly fend off the urge of dropping your children at Sister Maria’s doorstep is to drive, and perform all other related travel tasks that you are responsible for, as fast as you possibly can. The longer the trip takes and the more you dilly-dally looking at scenic viewpoints or places of historical importance the more likely it is for us dads to cave to the urge to donate our children to a Catholic charity. In other words, the reason we rush through the journey to get to our destination is because we love our children and, despite out kids’ best efforts to change our minds, don’t want to give them up. This was an important lesson for me to learn and gave me a better understanding of my dad’s behavior when we drove somewhere for vacation. I would like to thank my dad for rushing through our travels in order to keep us out of the orphanage but he’s currently traveling and I don’t want to do anything to change his mind now. May your travels be as speedy as possible dad.